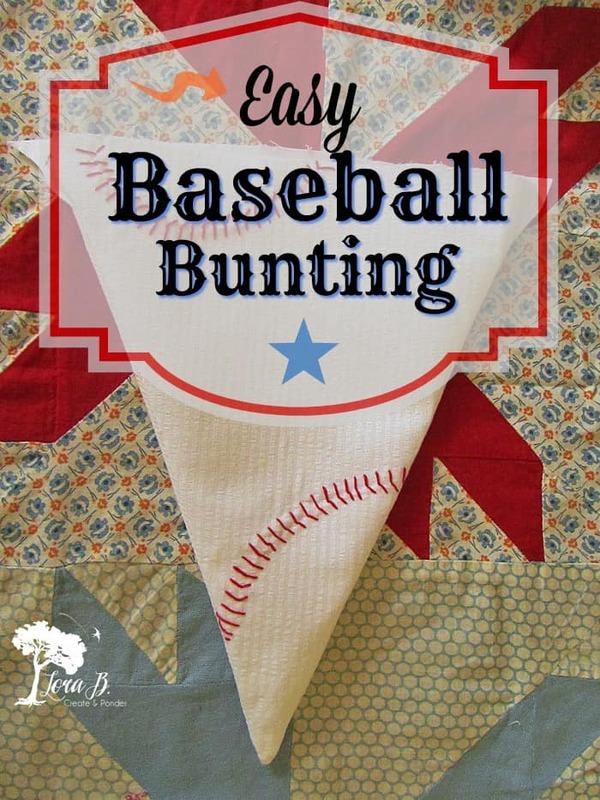 Baseball season has begun and warm summer days are perfect for catching some fun at the little league games or enjoying the competition of the more serious players at a professional ball park. 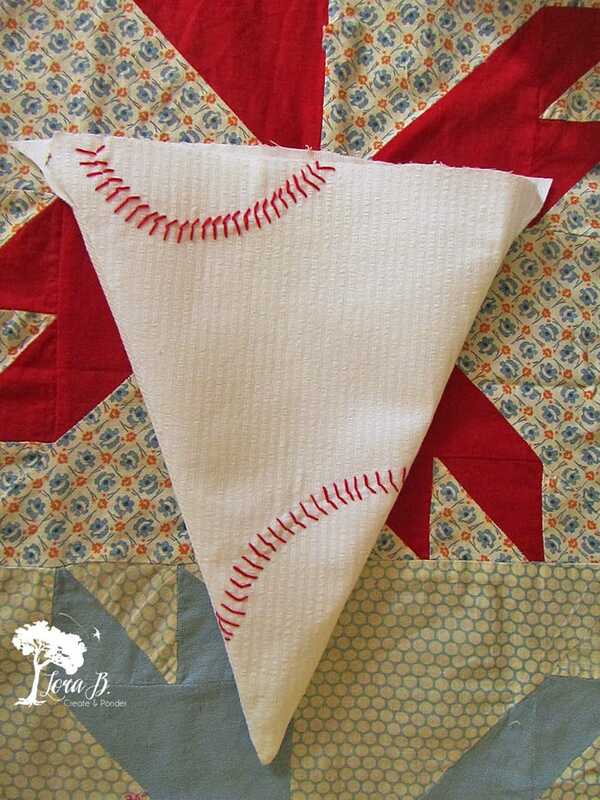 Whether you’re decorating your little slugger’s bedroom or styling up your tailgate bash, this hand-sewn baseball bunting can provide a unique, special touch. 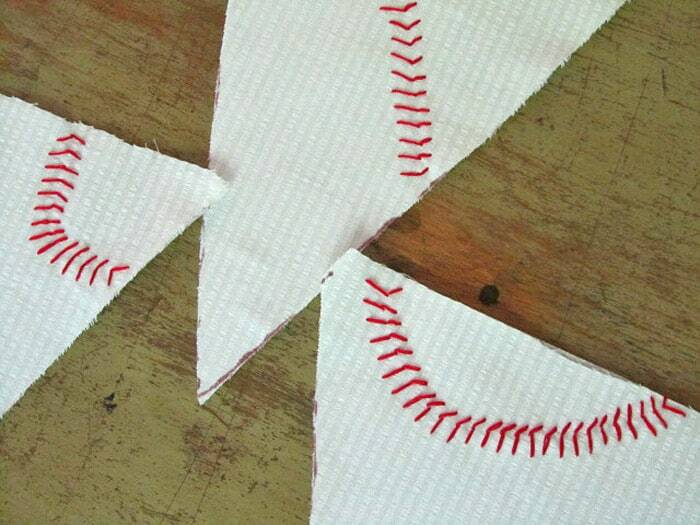 Make a triangle pattern out of cardstock (as large or as small as you want) and cut pieces out of white striped seersucker. Leave 1/4-1/2 inch for seam allowance. 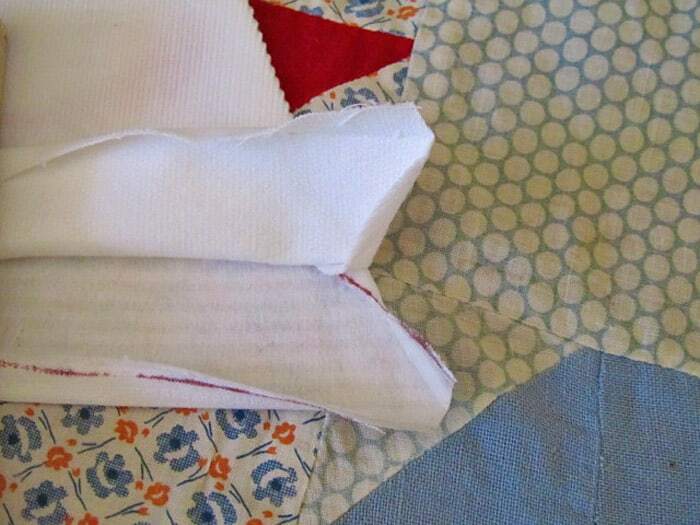 Apply fusible interfacing (per instructions on package) to give it some body and weight. 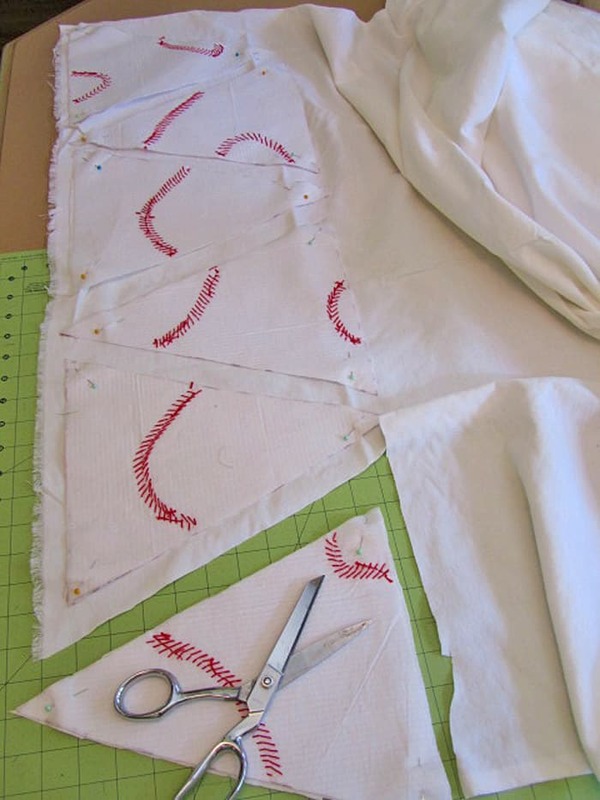 Embroider red baseball laces in varying designs, using two stitches in a herring-bone type pattern. Cut backing fabric out of a little heavier fabric, like a canvas, so the triangles will hang nicely (I used fine-wale white corduroy). 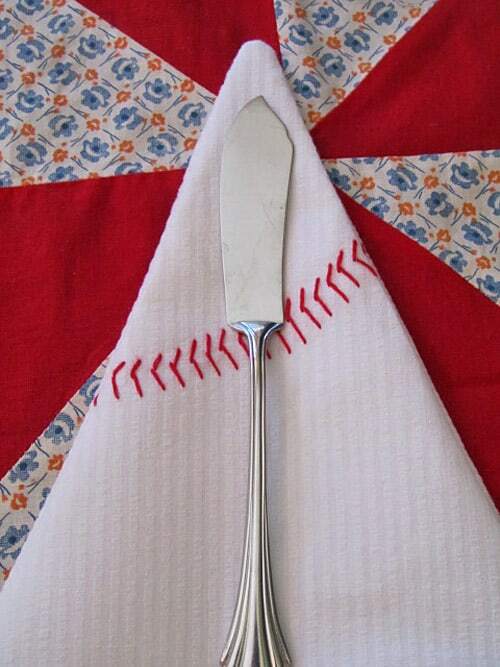 Cut with right sides together. Pin. 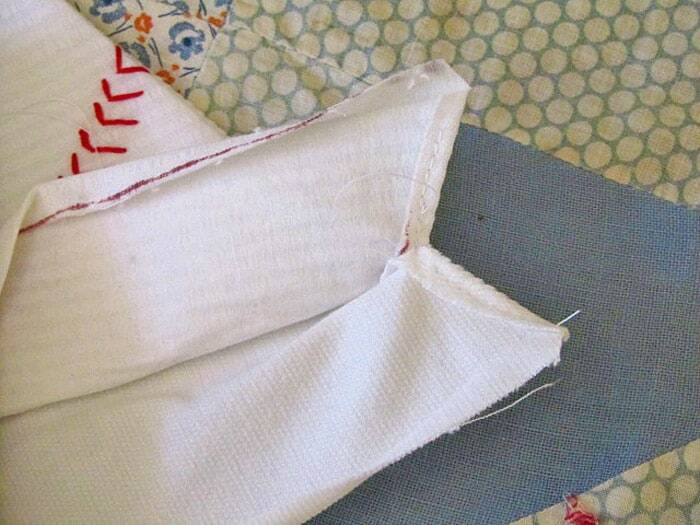 Sew two long sides (with a very small seam allowance), leaving a 1 1/2″ gap unsewn on both top edges. Turn inside out, poking out the point with a butter knife and pulling out the point with a thick safety pin for crispness. Press all the edges, and press the top edges under towards each other. Leave openings on either side to slide a rope through. 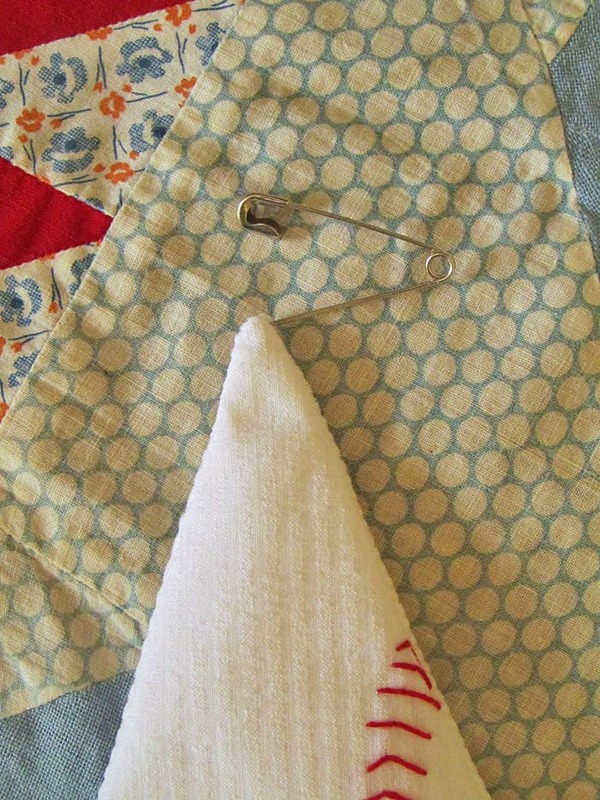 Sew those little openings under to finish off any raw edges, and then top-stitch the top of the triangle. 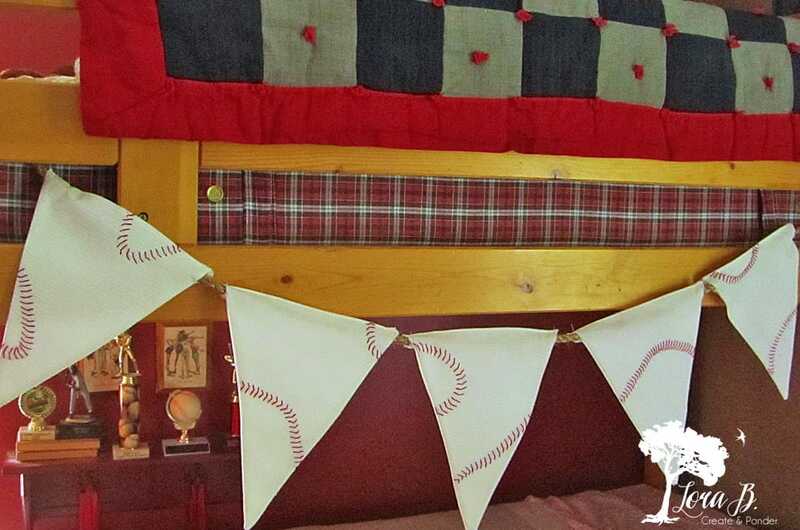 Cut 1/2″ sisal rope to length needed and wrap the ends with red and white striped decorative tape. 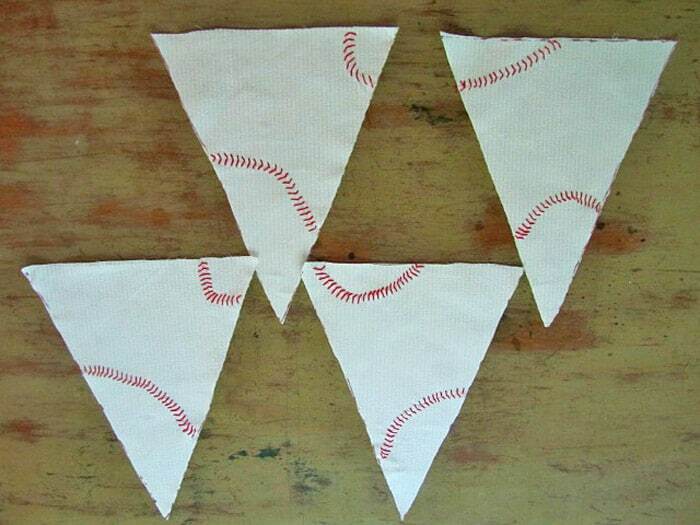 Slide the rope through bunting triangles. 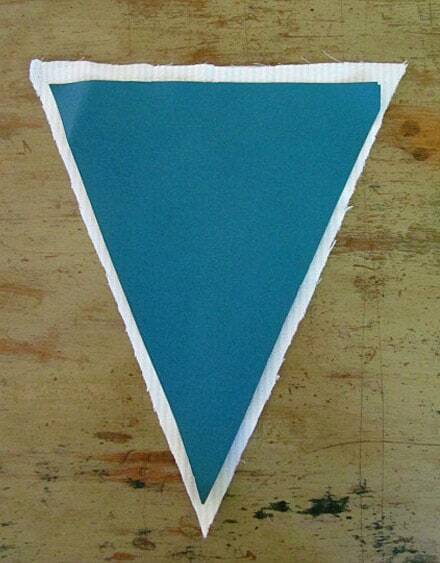 Pictured is a 6 foot section with 5 triangles. 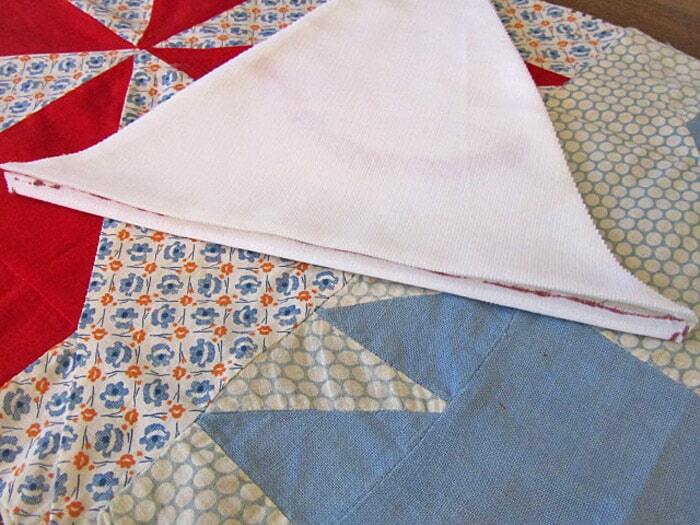 This type of hand-sewn project can be treasured for years. 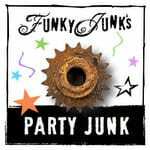 If you’re using it for a party, just add some salted peanuts in a jar and some good old double bubble bubblegum, and you’ll be ready to say, “Play Ball”! So cute, Lora! 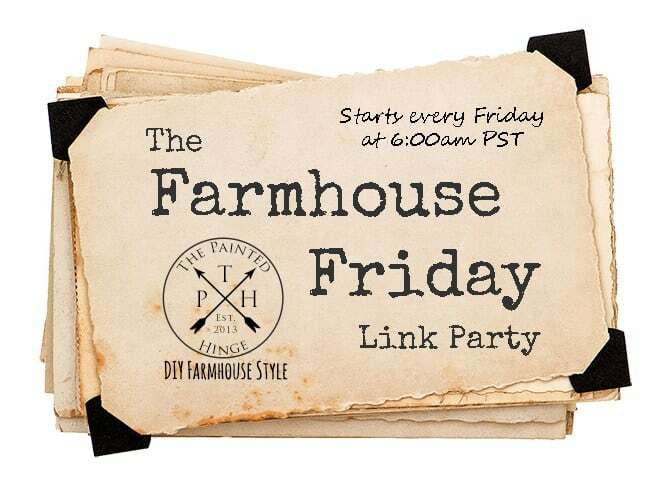 Thanks for sharing @Vintage Charm!